Hope this works. I picked this up yesterday for my mainly my wife but I am sure I will drive it occasionally. 32.000ish miles. In very decent shape for the miles and used. Found some scratches we didn't see at the dealer but thats what happens when you detail it with a fine tooth comb. Need to buy the bumper plugs to put in where the front plate was. Otherwise, no mods really planned for it. Just driving it. I did a full top to bottom detail which took all of 8 hours with all the steps involved. I picked up this new to me 2016 xSport. I can’t wait to start the mods. Nevermind, you can’t link off of FB. Looks like you need to update your profile unless you still have the 2011 XLT as well. You can post directly from your device with an $20 Elite membership. Get one now and it is good for 2 years as mentioned at the top of the page. That was you don't have to try and find a 3rd party hosting site and hope it doesn't change its policy like Photobucket did. Thanks Peter. I do have both actually. Replaced the wife’s MDX with the xSport. Thanks for signing up with the Elite membership. It also goes to support the site and your photos are saved to the Forum servers and won't disappear. Nice looking Sport and photos BTW. 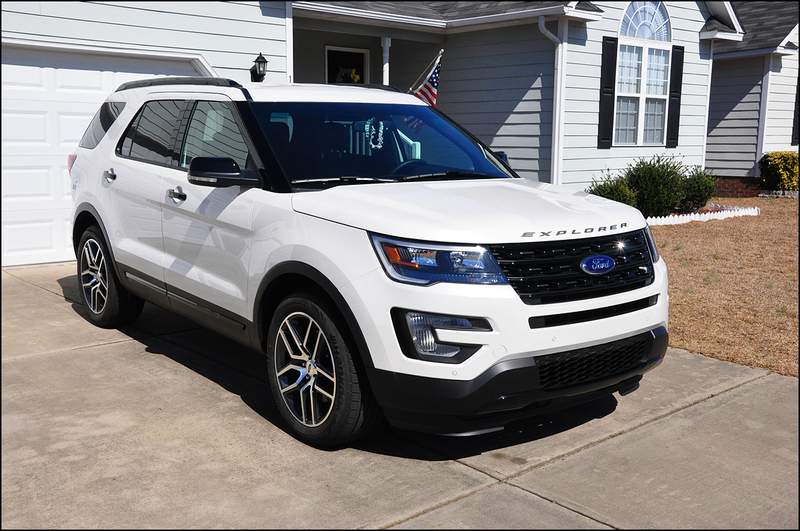 My wife's 2016 explorer sport. Unleashed 3 bar, mdesigns CAI, 28" light bar. How did you get the light bar installed, What is the attachment points? I did a quick write-up in the light bar thread. Which H&R Lowering Spring set did you go with? How much is it lowered front and rear? Did you put the springs on yourself? If so, how difficult was it? Can I get the link to the post? I can't seem to find it when I searched. K&N Drop in is my only modification. Do you have the part number for the K&N drop in?